Every story, no matter how good or bad, has a lot of work in it. Even if you are a total slacker and you send out your first draft, not even bothering to re-read it, you’ve still put a reasonable effort in to get it finished. For me, I edit and re-edit my stories seemingly endlessly. I cannot read them without wanting to change something. A flash fiction story of 500 words can easily take six hours to get to the standard where I think it is ready to send out. That’s a big investment. After so much work it is hard to forget about it once it is out in the big wide world. You are so eager to see if it is going to get a chance to be read by the public. I’d be a liar if I didn’t admit that when I have a story out, every time I check my emails the first thing I do is skim the subject headers to see if there is a response. 99% of the time there is nothing. It is not unusual to be waiting over six months to hear back from a publisher, even for a short story, and that’s if they respond at all. This part of the process is the one that most undermines my desire to get published. I don’t mind rejection, even form letter rejections (a generic response sent to all rejected stories), but hearing nothing, that’s disheartening. You can’t help but speculate that the story got lost, or wonder if anyone read it at all. What’s even worse is when it was ahead of the pack months ago when you sent it, but now everyone is subbing stories on that topic. That’s the main reason why I try not to write topical stories anymore. A particular low for me was when an editor announced on social media that they hadn’t received any stories of a certain category that were up to standard for their anthology, so they wanted more of that category. My story fell squarely in that category and I had subbed it a month earlier. So I knew it was rejected, but the editor didn’t send me a formal rejection for another two weeks. I know editors get inundated with subs, and they often have day jobs, not to mention their own stories that they are trying to write. But I wish they wouldn’t give indicative response times on their sites if they don’t meet those. I also really hope the public rejection before personal rejection doesn’t become the norm. The whole thing has inspired me to write a story specifically for self-publication. This way I control the timelines and if nothing happens for a while, it’s because I’ve dropped the ball. I’m pretty excited about it too. It’s wonderful knowing that I will be able to count on it being out in the world by a certain date, instead of waiting, potentially for years, for others to reject or accept it. That’s how long it just took for one of my stories to be rejected. I had actually assumed it was rejected three months ago when I had not heard from them within their rough guide of when they would be making their decision, so it was not with disappointment that I received this email, but surprise. It was a form letter rejection, so I’m not sure if my story got close to being picked or if it was just lost in the back-log for all that time. The thing that did really surprise me was the invitation to submit again next year. Forgive me if I sound bitter, and I do appreciate that in the scheme of things in the writing world I am at the bottom of the food chain (and I’m okay with that), but waiting nearly eight months to reject a piece of flash fiction, in a flash fiction anthology where most of the stories submitted are around 1,000 words is just too long! The disappointing thing is that I know a lot of the people who put these anthologies together are writers themselves, so surely they know the disappointment you feel when you have had a story locked up for nearly a year while someone makes a decision about it. Even if they sent a generic update email at the four-month mark I’d not be quite so miffed. It makes it very hard to write a ‘cutting-edge’ piece of science fiction, because if the first person you sub it to doesn’t take it, then it is old hat by the time it gets sent to the second potential publishing opportunity. I know there is no solution. This is just how it is. It really is no wonder that people are turning more and more to self-publishing as a first option for their work. I’m not there yet, but I do not hold it against those who do choose that path. Yes, I guess it turns out I am a bit bitter 🙂 and I must concede that it could be something about that particular story, because the last place held onto it for over a year before they rejected it. Why do we do this to ourselves? Ugh. 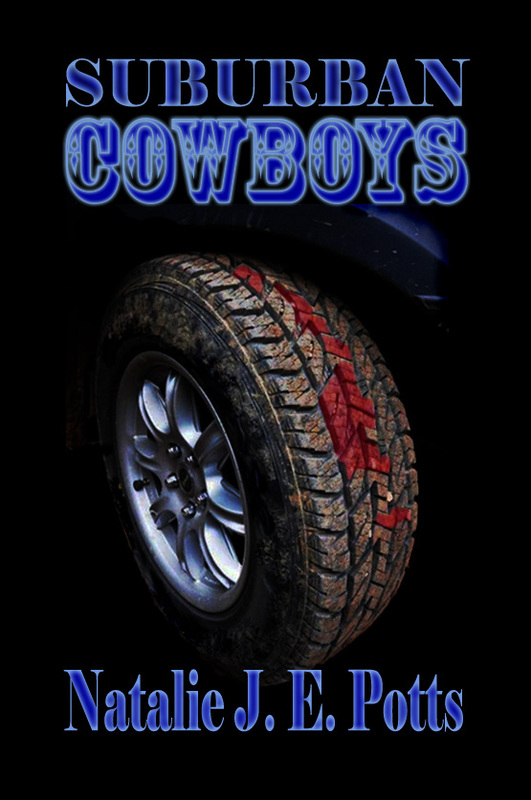 Well I pulled my finger out and finally loaded up Suburban Cowboys, my short horror story which was originally printed in Midnight Echo #1 (the Australian Horror Writers Association magazine) in 2008. This story was inspired by all my drives between Hawthorn and Hampton where my poor little Lancer had to rough it with all the Toorak tractors. One day the fighting with the four-wheel drives just got to me so much that this story spilled out in its entirety the moment I got home. I do need to warn you there is adult content insomuch as there are graphic concepts, but there is not really any guts and gore (but don’t let the absence turn you off). At the moment (due to the way the sites are set up) you can only get it for free on Smashwords, but it is available at Amazon for the princely sum of $0.99, or you can wait about a month and then they will (hopefully) move it over to the free catalogue. Thank you very much to those who gave me feedback about the cover, it was almost a fifty/fifty split, so I went with the all blue, but I might re-vamp it to dual-tone when it gets onto the free list. Lots of us like stories that end in a twist or reveal. I love both reading and writing them, but sometimes the story doesn’t quite work, and in the worst case scenario you don’t understand the end of the story. The fault of this mystery comes down to getting the right balance of foreshadowing (or slipping hints into the earlier parts of the story). It’s a fine line to tread, you need to pepper your story with enough clues so that if someone was re-reading it they would slap their forehead and go ahh, it all seems so obvious now, but put too many of these in and everybody guesses how the story ends before they get there. Wouldn’t you have enjoyed ‘The Sixth Sense’ a lot less if Bruce Willis had put his hand through the door handle at the beginning? This is where a writers group can be invaluable. My general rule of thumb is that if half the group gets it, then it works. Fewer than half, then you have been too subtle with your hints. Also, if more than a couple guess your end before they got there, then you have overdone it. So what do you do when you don’t have a writers group? You force your story onto a bunch of readers and get their feedback! Having recently released a story where you needed to pick up the clues to understand the end I am now feeling the brunt of my subtlety. If you miss the clues in this story you can think that it is just an ‘I woke up and it was all a dream’ story (which is the kiss of death for an author). This has led to more than a couple of bad reviews. I had other hints I could have put in there, but I thought that would be sledgehammer-ing my reveal. This story was written and published before I had a writer’s group, so as the editor ‘got it’ I figured I had my foreshadowing balance right. Now that it is on line I am discovering the majority of people don’t get it. What’s worse is when I explain it to people they shake their heads and say ‘nope, didn’t see that at all’. Golden rule about writing fiction; if you need to explain your story, it is not well written. I’m now on the edge of either a) pulling the story so there is no evidence beyond cached pages that it ever existed, and b) re-writing it with all the foreshadowing that I pulled out of the original version. I still like the premise, and the truth is there is a major continuity error that no-one seems to have picked up that I’ve wanted to fix ever since it came to me in the middle of the night a few months ago, so I think I’m going to go for the re-write. So as much as one of my widest-read stories is also turning out to be one of my most disliked stories, at least I have learned a major lesson (which given all the times I blab on about how wonderful writers groups are you would have thought I would already have learned); always run a story past a group of readers before you send it anywhere (another golden rule). Yes, I know I promised to present five fabulous non-fiction books to you, but I got some good news this week, and I wanted to share it. So you’ll have to wait until Wednesday for the non-fiction reading list I’m afraid. The first bit of good news I got was that my flash fiction story entry Jaxon’s Gift gained an ‘honourable mention’ in the Australian Horror Writers Association short story competition! Which means I wasn’t too far off the pace. I’m also pleased to say fellow SuperNOVA member, Tracie McBride, was also honourably mentioned for her short story Slither and Squeeze. The truth is I don’t know what the book is being ranked against, it could be all ebooks, it could free ebooks, it could be horror/science fiction books, or it could be free horror/science fiction ebooks by authors with surnames beginning with ‘P’. But I don’t care! My other self-published book on Amazon is ranked at a number four digits longer than Welcome to Midnight, so I’m VERY happy with #42! So thank you to everyone for cheering up what was shaping up to be a bit of a depressing week! I promise, next post will be the 5 great non-fiction books! I did not grow up in the time of ‘participation medals’, not everyone was a winner, and sometimes no-one was. Which is why I think that a perfect score should be reserved for only the very best of something, not squandered so freely as to be meaningless. As some of you may remember, I published my novel Paragon on both Smashwords and Amazon recently (and it is still available). 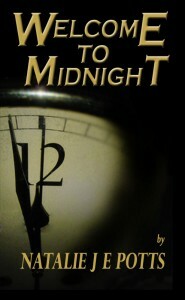 I quickly followed this up with a free short story Welcome to Midnight. Having rarely purchased books online before, these publications were my first exposure to the mixed up world of star ratings. It seems that there are a lot of ‘perfect’ books out there. Don’t get me wrong, I am very grateful for my five star reviews, but to be honest I am also very surprised. I would only give a handful of books a perfect score, because as much as I enjoy a book, I believe you should always include room for improvement. The problem is there are a lot of people freely handing out five stars, meaning that if someone gets four stars or below (because someone like me reviews it) it will completely destroy the book’s standing. So even if the review was positive, and talks about how great the book is, because it is not five stars the author’s book will plummet in the rankings from first page display to 15th page (in some instances). This leads to pressure to give a book five stars, because too many people assume it is awful if it gets below that. Add to that the complication of many of those reviewing the books being authors, so they are fearful of negative feedback on their own novel if they give less than a perfect score, it renders the whole star rating almost meaningless. I have learned, as I’m sure many others have, not to pay too much attention to the stars unless they are very low, or if the number of reviews is very high (but even that isn’t watertight). The review itself is the best thing to go by, and that is what I now use when choosing my reading material. I can’t think of a way to get around the star rating, as a computer system needs something universal to rank by, but it is disappointing that so many good books are so far down the suggested reading list just because they were reviewed by naive people like me, who thought they were being fair. My first ever fiction publication was Random Impulses in Antipodean SF, but my first ever paid publication was Welcome to Midnight, in Aurealis. This also just happens to be my highest paid publication so far as well, and gave me a slightly skewed idea about how much there was to be made in the game of writing. I am cured of this misconception now. The publication rights have reverted back to me, so as my next foray into the wonderful wide world of self-publishing, I have re-released Welcome to Midnight as a free (for a limited time) ebook. So for those of you who do not want to sign up with any ebook publishers, you can download a copy of Welcome to Midnight no questions asked, just by clicking on the image below. **WARNING** This story contains adult content! This is a horror/science fiction tale, so perhaps not the most appropriate story to be reading on a religious holiday. But it is Swancon weekend, so there are elements of the speculative about this time of year. The Aurealis Awards are one of the biggest events in the Australian speculative fiction calendar. Started in 1995 the Aurealis Awards set out to celebrate Australian speculative fiction in its distinct categories; science fiction, horror and fantasy. The shortlist for the awards (winners announced in May) has been released here and I’m proud to say that there are a few members of SuperNOVA (my writers group) represented across several categories. Another point of interested I read with great enthusiasm was the inclusion of a self-published novel nominated for best Fantasy novel of the year. It just goes to show that self-publishing (or indie publishing as it is now being called) can bring otherwise hidden gems to our attention. Congratulations to all the nominees and best of luck to the Novarians!